Patricia Louise Puchalski, 77, is no longer trapped in a body and mind that she could no longer control. Patricia entered peacefully into eternal rest on Sunday, January 27, 2019 with her husband, Walt and her two daughters: Kristine and Tara by her side. Parkinson’s Disease does not control her anymore; she fought hard against this disease for many years. Thankfully, taking the adventures she desired when her body was able. She traveled to many destinations throughout her life, including the Bahamas where she swam with the dolphins. This was a feat for her since she likes water, but never puts her head under. She returned to the Bahamas many times over the years. One of the trips was to see Tara, her youngest daughter, get married on the beach. She cruised Alaska to see the Glaciers with daughter, Kristine and her family, including two of her grandchildren. The cruise made so many memories that will be cherished forever. Isabel Kisthart, her surviving sister, and brother-in-law, Robert, live in Montana. Pat made countless trips to visit her sister and family. Once in Montana, many excursions to the surrounding states were made creating wonderful stories of places Pat visited. Most trips included visits to Yellowstone, a favorite for all the family. Pat was able to make a trip a few years back to share this beautiful Big Sky with her grandchildren. The ocean was always a summertime favorite. Every summer as her children grew, she found a way to take her family to the beach. She enjoyed simply sitting on the balcony oceanfront watching and listening to the waves. As her mobility declined, her family still found a way to get her to the beach the past couple summers. This past summer that included renting a beach wheelchair; Pat loved it. She got her toes in the sand, which brought a smile to her face. Her smile makes everything you do for her worth it. Pat is preceded in death by her parents, Isabel Irene (McGill) and William Joseph MacDonald; and her brother, William MacDonald. Pat was just a young woman when her parents were tragically taken in a motor vehicle accident. This event shaped Pat into the most loving person, parent, and grandparent. Every visit ended with an “I love you”. Pat’s brother, Bill, lived close by and shared many holidays with each other’s family. Pat and Bill’s joke as they would say their goodbye was always about how they hoped they could drive the whole way back home with no stops. Those that know, find it quite humorous considering the two only lived about 5 miles from each other. The families were so blessed to share holidays and gratefully, in the more recent years the families were brought back together to share Thanksgiving as one. Her fondest moments were always with her family. Family, especially her grandchildren, brought her joy. Patricia and her husband, Walter, were married for 53 years and were blessed with two daughters who then blessed them with four grandchildren. Her eldest daughter, Kristine Garverick and husband, Neal, have two children. Harrison was her first grandson. After raising two daughters, her comments about the differences with boys would always bring a chuckle to her face. A few years later, Hayden, a granddaughter, would be born. These two would be roommates on the trip to Montana. Oh to have been a fly on the wall in that room! “Mimi”, as the grandkids would call her, loved attending all the soccer games, dance recitals, band concerts, birthdays, Sunday dinners, and just any reason to get together. Tara Foster and her husband, Joe, also have blessed this family with two children in the more recent years. Sam, another grandson, would squeal in joy when Mimi would get to their house and insist that she play. And of course, that was music to her ears. The most recent addition was granddaughter, Molly Patricia, was the apple of Mimi’s eye. This sweet baby made Mimi smile and for her to be able to hold Molly in her arms created such peace and calm to both. To be able to watch these two little grandchildren eager to have Mimi read and help tuck them in was joy for all. Pat, or better known as Patty, to those she knew through her school age years were still in touch. Patty was in the last graduating class from Lemoyne High School. She enjoyed attending luncheons over the years that were held monthly at a variety of restaurants. Spending time and catching up with her high school friends was a delight for Pat. This wonderful group of ladies even cruised to celebrate their 50th High School Reunion. Pat was a member of the Shiremanstown United Methodist Church. This church holds many memories of her children growing up through their Sunday School Programs, marriage of her daughter Kristine, baptism of her grandson, and fellowship with the members she would sit with as she attended service. Pat would share about the message of the service and the friends she would sit with. Betty, so kindly continued to send Pat letters let her know Pat was in her thoughts. These letters were greatly appreciated. Pat touched so many lives bringing happiness to all she came in contact with. Her kind heart would do anything for family or friends and would be there in a drop of a hat when needed. Her family is surrounded by the peace and comfort to know she is no longer trapped in her body struggling to do the things she loved. Pat will be missed deeply by all who knew her. From her family to all who knew her, thank you for your kind words. A celebration of Pat’s life will be held in the near future for friends and family to gather to share their wonderful memories and love for Pat. The family sends their most heartfelt thanks to everyone at Hospice of Central Pennsylvania who so lovingly cared for Pat during her illness. Contributions in celebration of Pat’s life can be made to the Parkinson’s Foundation, 200 SE 1st Street, Suite 800, Miami, FL 33131, www.Parkinson.org/Ways-To-Give or to Hospice of Central Pennsylvania (HCP), 1320 Linglestown Road, Harrisburg, PA 17110. 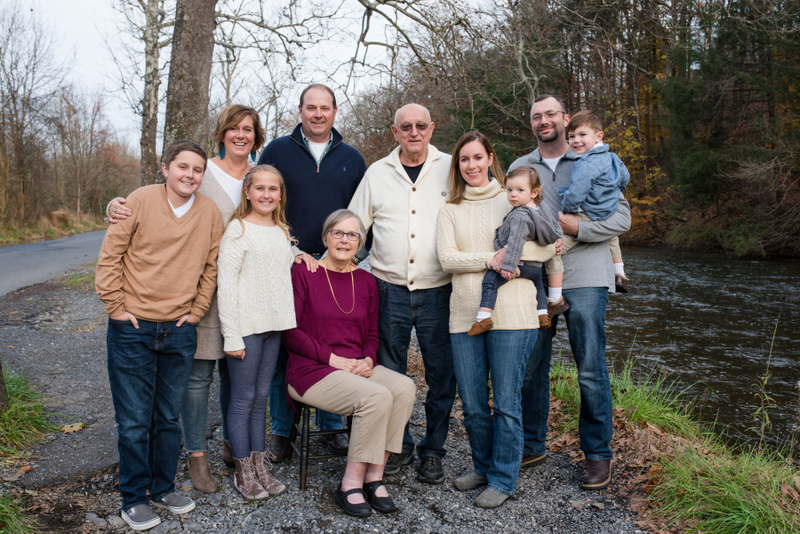 Pat’s family has entrusted her care to Myers – Buhrig Funeral Home and Crematory in Mechanicsburg, (717) 766-3421. Read Pat’s full obituary and sign official guest book at Buhrig.com.